The Makino Collection was purchased by Columbia University in 2006, processing began in September 2008, and was finished in February 2016. The collection focuses on print materials mostly related to Japanese film that were collected over the course of fifty years by former documentary filmmaker and film researcher, Makino Mamoru. 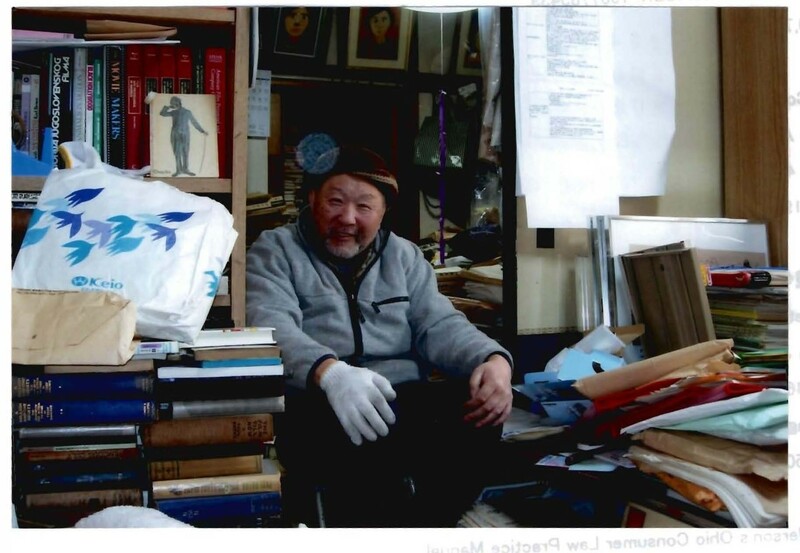 Mr. Makino began collecting materials related to Japanese documentary film, and then expanded his collection to cover film theory, movements, censorship, and other film-related materials. These include such themes as 1930s modernism, the proletarian film movement (Prokino), and prewar film regulations. They cover various genres of film, including experimental film, educational film, documentary film, news film, amateur film, and animated film, among many others. The Collection contains over 1,000 pre-war scenarios. There are also over 3,000 leaflets or handbills (chirashi) from regional movie theaters from the 1910s through the 1940s, as well as over 5,500 post-war movie theater programs and fliers. Mr. Makino developed an early interest in film due to his purchase of a book written by Charlie Chaplin in a used bookstore. Prewar materials in the Collection therefore include items related to Charlie Chaplin and his Japanese assistant, Kono Toraichi. In addition, the Makino Collection contains valuable company documents and reports relating to major Japanese film production companies (film studios) including Tōhō (P.C.L. ), Shōchiku, Nikkatsu, and independent film studios, as well as the complete works and personal collections of film critics, including Kishi Matsuo, Tanaka Jun’ichirō, Iwasaki Akira, Iijima Tadashi, and Yodogawa Nagaharu, photographs and albums once belonging to cameramen such as Miki Shigeru and Kikuchi Shū and materials related to the films they worked on with the documentary filmmaker Kamei Fumio. There are full runs of commercial film magazines and issues of harder to obtain minor film publications such as coterie magazines, university film research journals, and amateur film publications (kogata eiga). Japan has cultivated a vibrant print culture related to cinema since the beginning of Japanese film production over a century ago. 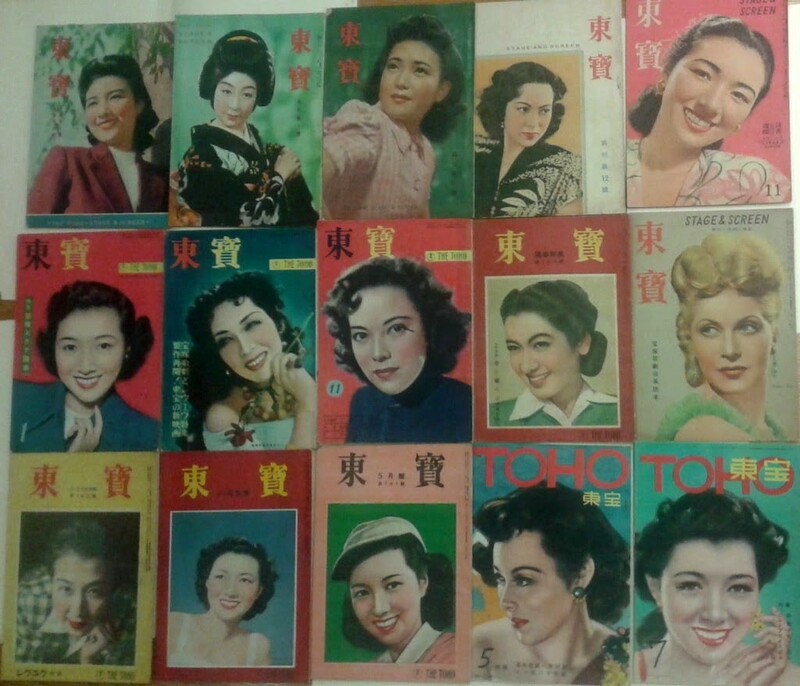 Many of the print materials found in the Makino Collection - books, magazines, film scenarios, company documents, and ephemera - date to the early twentieth century. Due to their ephemeral nature and association with popular culture, many of the texts and promotional materials from early Japanese cinema production and distribution were not collected by libraries and archives. Although mainly a collection of materials related to Japanese film, Mr. Makino broadened his collection to include sources from Okinawa, China, Taiwan, the former colony of Manchuria, and South Korea. When the Makino Collection first arrived at ReCAP (the libraries' offsite storage facility) there were 906 boxes (approximately 906 cubic feet in total). These boxes contained approximately 14,576 volumes of books, 10,028 magazine issues, 1,805 miscellaneous files (most containing multiple items per file), and about 341 other items of various formats – videotapes , posters, sound recordings, etc. The total estimate for the collection is approximately 80,000 items. Processing of the archival materials is completed, and information about this material can be found in the online Finding Aid. The monographs and most journals are being cataloged for the general collection, and are added to the libraries' online catalog on an on-going basis. Since not only most books and journals, but also the larger part of the archive is stored offsite, patrons should contact the library well ahead of time to request archival material to be made available for their use. Please search the Finding Aid to obtain box numbers for items of interest before contacting the library. The archival material can be used only in the Rare Book and Special Collections Reading Room. Please refer to the Guidelines for Rare Book and Special Collections Reading Room Use for detailed information on access and use. On November 11, 2011, a symposium was held at Columbia University, highlighting scholarship performed using the Makino Collection. The presentations from the symposium are now available to watch on YouTube and Academic Commons (Columbia's Open Access Forum). Visit the symposium website for program details and links to the presentations. Council on Library and Information Resources. (n.d.) Makino Collection Film Ephemera and Rare Books. Nornes, M. (n.d.) Prewar Proletarian Film Movements Collection. Edited by Abé Mark Nornes and Makino Mamoru, with archival materials from the Makino Collection. Center for Japanese Studies - Publications, The University of Michigan. Eigagaku no michishirube: an Approach to film studies in Japan. Tōkyō: Bunsei Shoin, 2011. Saisentan minshū-gorakueiga bunken shiryōshū: Zen 18-kan. Tōkyō: Yumani Shōbō, 2006. Nihoneigaron gensetsu taikei: Zen 30-kan. Tōkyō: Yumani Shōbō, 2003, 2004. Nihon eiga bunken shoshi. Meiji, Taishōki. Tōkyō: Yūshōdō Shoten, 2003. Nihon eiga ken'etsushi. Tōkyō: Pandora, 2003. Tōseika no eigazasshi: Zen 51-kan. Tōkyō: Yumani Shōbō, 2002-2004. Senzen eizō riron zasshi shūshei. Tōkyō: Yumani Shōbō, 1989. The Collection was processed by Beth Katzoff with periodic assistance of Atsuko Oya, and by Miki Masuda with periodic assistance of Shuran Chen.